Twenty-five-year-old Seminole Toby Tiger lives in despair in the Florida Everglades. He loves the land and everything that exists in the natural world: the deer and egrets, turtles and herons, cypress trees and sawgrass, ponds and marshes, and, most of all, Allapattah, the crocodile. He watches helplessly as the white man imposes his will on the Seminoles, forcing them either to conform or to eke out a living wrestling alligators and carving trinkets for tourists. According to Toby, the whites “destroy all that they touch." Toby refuses to bend to the white man's will and fights back the only way he knows how. 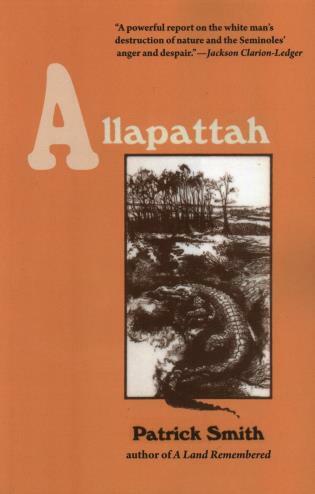 He becomes Allapattah, a creature that earns his respect and protection.